Based on interviews with 1,500 national employers, Bring Your ‘A’ Game training is an engaging, interactive curriculum for building 7 foundational workplace skills. If you attend both sessions, you can earn your Certificate of Work Ethic Proficiency through the online assessment. 22apr2:00 pm4:00 pmLinkedIn and Your Job Search: Now What? Learn techniques and strategies to increase your visibility on LinkedIn and use the site effectively. *Must have a LinkedIn account prior to attending. Covers Word processing, cut/paste, and font changes. PREREQUISITE: Must have attended Basic Computer Skills-Part 1 or have basic knowledge of how to use a mouse, Windows, and ability to type a minimum of 10 words per minute. Is your résumé a report or an advertisement? If you’re not getting interview calls, then take this workshop to gain ideas and suggestions on sprucing up your résumé. Provides intermediate to advanced résumé guidance. On request, Language Assistance Services will be provided, at no cost, for those who are English Language Learners or have Limited English Language Proficiency. Click here to submit your language request or call Tiffany Clark-Trujillo at (719) 667-3885. The Pikes Peak Workforce Center provides automatic translation into 7 languages, courtesy of Google Translate. However, the English language version is considered the most accurate for our content. In the event of a disagreement or discrepancy between the translation and the original English version of this web site or any notice or disclaimer, the original version will prevail. Pikes Peak Library District Offers free tutoring and English language learning for adults, (719) 531-6333, ext. 2223 or 2224. Family Literacy and ESL classes, District #11 Adult and family ESL classes offered days or nights, (719) 520-2384. Academy District #20 For further information, please contact Jennifer Duarte at (719) 234-1372. Adult ESL classes are held every semester at Rampart High School. Enrollment occurs in September or January. The class lasts 10 weeks and is free. Materials are also provided. English Language Institute, Pikes Peak Community College They offer classes for non-native speakers of English. The classes are for people who are interested in improving their ability to read, write and speak English, (719) 540-7047. Want to receive email messages for classes, workshops or events you are interested in? 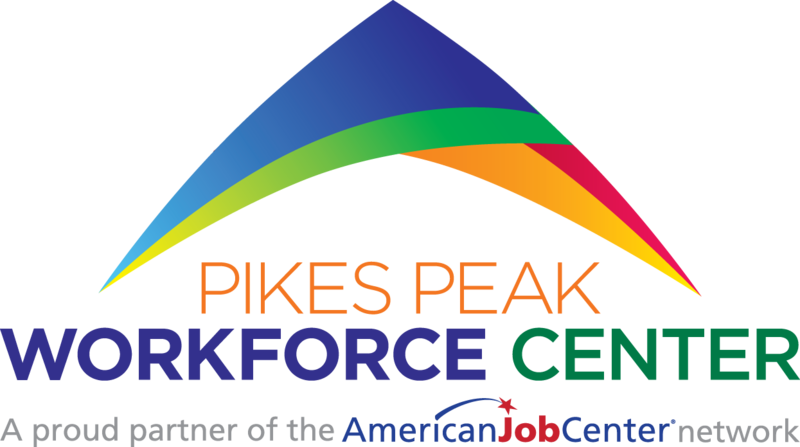 © 2015-2018 Pikes Peak Workforce Center. All rights reserved.